Description : SciLink is an online community with the goal of helping you to discover scientists, authors, and relationships. SciLink takes away the tedium of traditional networking. 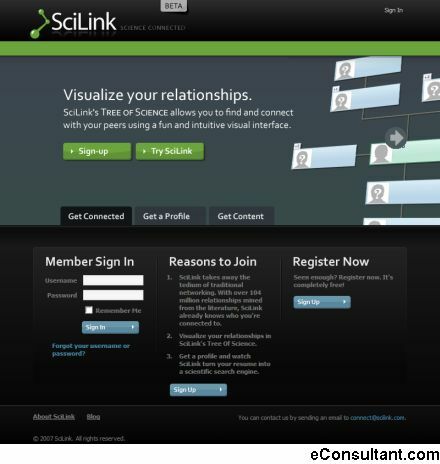 With over 104 million relationships mined from the literature, SciLink already knows who you’re connected to.